This emergency contact information disc replaces the old tax disc on your windscreen. 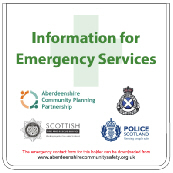 It provides vital information for the emergency services in the event of an accident. The disc can contain next-of-kin contact information and medical information about the driver and, if required for a regular passenger. 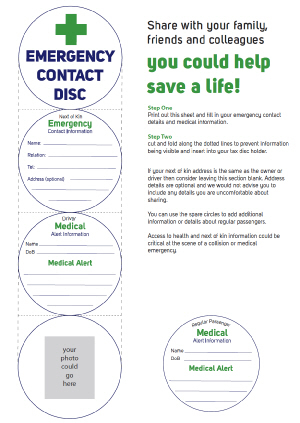 Download the emergency contact disc from here, print it out and fill it in (large PDF file - 2.2Mb).